For most of us, Christmastime is a season ripe with family traditions and nostalgia. Not for me, though. My parents didn’t impart most of the kinds of Christmas memories other people have. So when my kids were young, I made an effort to create Christmas traditions in our home. We’ve done the annual portraits for Christmas giving, photos with Santa, and we periodically indulge in baking cookies. One of the traditions I tried to carry on from my husband’s childhood was the creation of handmade ornaments. We inherited a collection of beautiful beaded and sequined handmade ornaments that he and his mother made when he was growing up. When my sons were 18 months and five years old, I took them to a nearby ceramic studio and started the tradition of annual hand-painted ornaments. My oldest son gave up that tradition a few years ago, but hopefully my youngest son will humor me for his 15th year. The next day, my girlfriend returned to help decorate the tree. When I pulled out the angel to top the tree, that is when it hit me—the mom factor. The angel had been a gift from my mother! In that moment I saw my mother’s love for me anew. That angel has graced my Christmas tree, fake or real, for many years. My mother hoarded things and had many financial problems over the years. She would shower me with gifts—despite my requests not to. Since my mother’s passing last year, this angel is now very precious to me—with its shimmering white linen and lace skirt, silver wings and porcelain face and hands. She sits on top of my tree as a symbol of the angels heralding Jesus birth—and of my mother’s love. Seeing that angel reminded me that my mother did instill a Christmas tradition in my life. She would make the holiday special by decorating our home. As a child I had helped my mother decorate the tree and house for the holidays. It was something I always looked forward to. As my girlfriend and I unwrapped each ornament and hung it on the tree, she humored me as I recounted the story behind each one. When it came time to place the angel on the tree, it reminded me of how mothers shape the feelings, traditions, and memories of Christmas. We can impart memories of the hustle and bustle of the season, or we can impart some life-giving nuggets that our children will treasure for years to come. Of course, Jesus is the reason for the season. That is first and foremost in what I want my children to remember about Christmas. In addition to that, though, as the pulse of home life, mothers can shape how their children remember Christmas in other ways. Consider the traditions and memories you are imparting to your children this holiday season. Be deliberate in what you want them to remember. Most of all be sure to decorate your celebration with the love of Christ! My mother wounds ran deep—too deep to ever look at until God nudged me back to my elderly mother’s side after her debilitating stroke. Before that first trip back home in November 2009, I had written my mother off. Her schizophrenia made her unavailable to me emotionally, although I didn’t label it as that until I started to look at my own emotional deficits and participated in deep healing classes. But I couldn’t blame her. It wasn’t her fault. I was only six years old when she had her nervous breakdown. I didn’t realize how much nurturing I wasn’t getting from her. But I knew I didn’t want to be like her in any way, shape or form. The further the distance I could put between us, the less likely I would be reminded I was her daughter. And the easier it was for me to hide from the stigma of her mental illness and the possibility that I could end up like her. I shed many a tear as I started to understand and to grieve what I didn’t get from my mother. I learned how to get my unmet needs met in healthy ways. 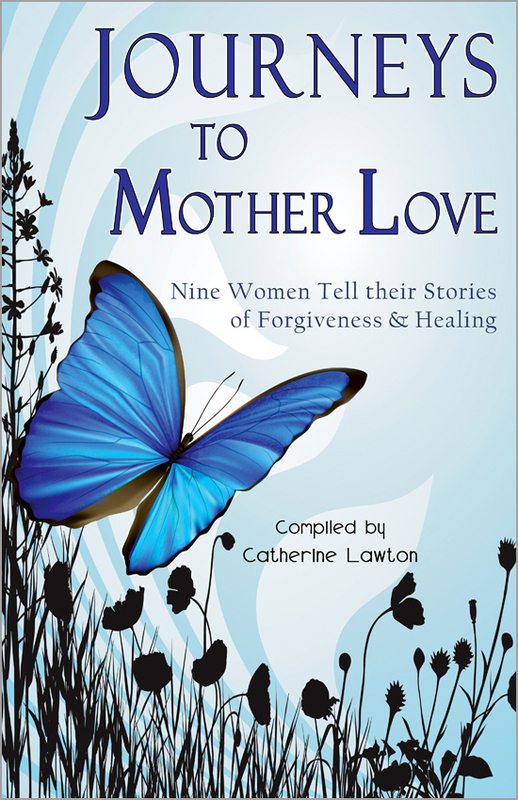 (The Mom Factor also includes healing steps for the adult children of each mothering type.) I found out it wasn’t too late to get the mothering I hadn’t received. I could be “re-mothered” through the women that God was putting on my path. Our final class assignment was to write a letter to our mothers about the mothering we received. Although I experienced a lot of healing of my mother wound in this class, I couldn’t do the assignment—at least not according to the instructions. Instead of writing a letter to my mother, I chose to write a letter to my son who was turning 13 at the time. It was a letter admitting my own mothering deficiencies, labeling the type of mother I was, vowing to break the generational curse and, with God’s help, to change my mothering patterns. It was a step in forgiving myself. One by one the women openly shared their letters to their mothers and then ceremoniously burned them. I waited until last to share my letter—nervous that I would be judged for not doing it right. I openly wept as I read it. There was no judgment or criticism from these other women. We were all on the same journey to wholeness, where grace abounds. Although I had to wait for God’s timing for the bigger healing of my mother wound as outlined in the story “Walking My Mother Home” (in Journeys to Mother Love), identifying the type of mothering I received was a positive step in the right direction. I know my children are better off for my having done so.